We all know that planning a wedding can be very daunting. When it comes to finding the perfect photographer, it can be near impossible. Luckily, I discovered Jacqui and from start to finish, she made the entire experience seamless and fun. She’s the type of person that walks into a room and makes you so comfortable that you feel like you’ve known her for years. Not only that, she also makes your friends and family feel the same way. So, the entire day of your wedding, she’s basically the best thing that ever happened to you. 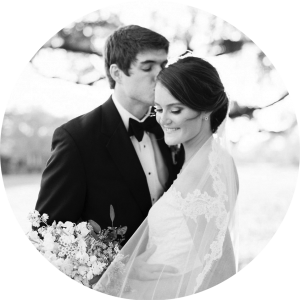 Additionally, she truly goes above and beyond on making you and your groom happy, is extremely detail oriented (so you don’t have to worry about a thing) and delivers photography that you’ll be proud of for years to come. She’s truly the full package and I promise that you’ll want to stay in touch with her as friends thanks to such an amazing experience. Jacqui made an already perfect day even better! Her beautiful and natural photos captured our attention but after our initial conversation with Jacqui we knew we had to book her for our wedding weekend. Her genuine and upbeat personality made us even more excited for our wedding day and all that was going to happen that day. Jacqui offered guidance prior to engagement shoot and wedding day and was extremely professional while being so energetic and joyful on our wedding day. 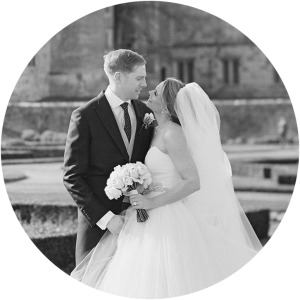 I truly think the overall experience was so special because Jacqui treats each client uniquely and really works with you to capture everything you hope for and more on your wedding day. 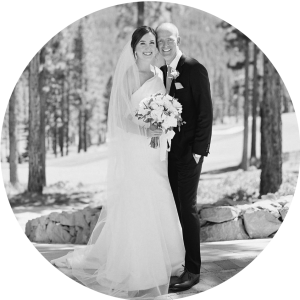 We are so thankful we were able to work with Jacqui as we truly couldn’t have imagined a more personable, energetic and professional photographer to capture our wedding day. Selecting Jacqui as our photographer was one of the best decisions we made about our wedding. First of all, her work speaks for itself. The photos from our wedding are absolutely incredible. We could not be happier with them. But beyond the photos themselves, Jacqui is wonderful. She is at once a lovely, caring friend AND a consummate professional. She makes it abundantly clear that she puts you and your wedding first. Nothing else distracts her! It is such a relief going into your wedding day knowing that your photographer is dead set on getting you the best photos possible. At the same time, Jacqui was calm, encouraging and lovely. She made me and my husband feel so comfortable, and she captured natural moments. You spend all day with your wedding photographer, and I couldn’t imagine a better person to do that with. We are so glad we chose Jacqui, and we’d recommend her to everyone! A friend of mine recommended Jacqui to me, and I am forever indebted to her for doing so. I fell in love with her work (and Jacqui!) immediately. Her use of light and attention to detail result in the most romantic and elegant photographs. From our first phone call, I could tell not only how warm and inviting she is, but how much she loves her job. When we met a few months later for our engagement session, I saw firsthand how good she is at her job. Jacqui makes you feel comfortable in front of the camera and isn’t afraid to direct the situation in order to get the perfect shot. She also has a calmness to her that is certainly appreciated on one of the most emotional and chaotic weekends of your life. I will never forget on our wedding day when we had to run inside to escape a thunderstorm that lasted all afternoon long. Of course, I started to cry. Jacqui immediately came over to show me all the amazing outdoor photos we were able to capture in that short time. Your happiness is truly her number one priority. At the end of the night, she asked my husband and I if we needed anything else to which we responded, “Yes, a picture with you!” As always, she happily obliged. Jacqui was the first vendor I booked for our wedding! She photographed my friend’s wedding, and I knew after meeting her and seeing her work that I wanted Jacqui to photograph our wedding – not only is she incredibly talented, but she is also such a warm, sweet, and fun person to be around. Jacqui was so calm and organized, and remained a completely non-intrusive presence throughout the day. 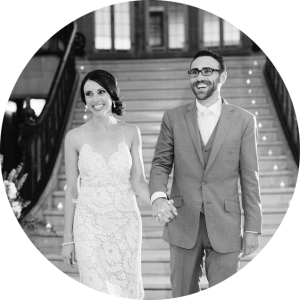 Jacqui’s work is romantic, soft, natural, dreamy, and classic…all qualities that I wanted my wedding itself to be! 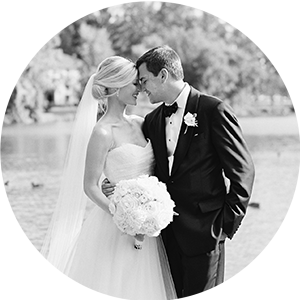 When I saw my wedding photos I was beyond thrilled – I couldn’t stop looking at the gallery! Jacqui has such an artistic eye and she has equal talent in staging gorgeous portraits as she does capturing priceless candid moments. Her work definitely exceeded my hopes and expectations. On top of that, her unique combination of top quality talent with a lovely personality made her so easy and enjoyable to work with. 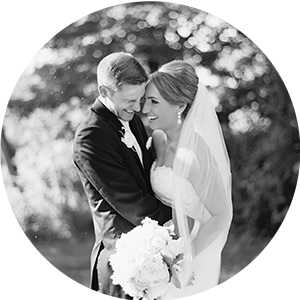 Every time I look at my wedding photos, I am reminded how happy I am that we worked with Jacqui! They perfectly captured the feel of my wedding day, which I can now relive every time I look back at my photos. From the moment I saw Jacqui’s gallery on her website I knew that I had found the right person to shoot our wedding. Her pictures were light and airy and had the dreamy quality that I love. After speaking with Jacqui on the phone about our wedding plans and how we met, she was so genuinely interested and sincere that I was sold. Everyone loved Jacqui on our wedding day! She was kind, encouraging, and made taking pictures so much fun! I loved how she was able to so perfectly capture both the big and small moments of our wedding without being at all obtrusive. My husband and I could not have been happier when we received our wedding images! 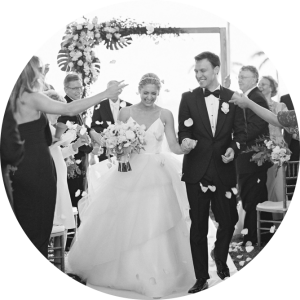 She truly captured the love that was the whole day, and we love looking through them again and again to relive the best day of our lives. I connected with Jacqui right away. 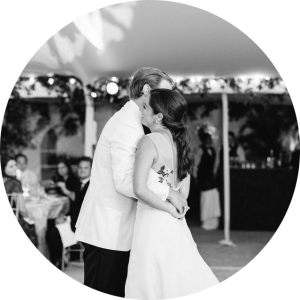 She instantly felt like an old friend and she quickly became a partner and confidant throughout our wedding planning process. On our wedding day, Jacqui brought genuine energy and excitement. She went above and beyond to get all of the perfect shots and put everyone at ease. Her love for her job is tangible and she made taking pictures feel natural and fun! Our wedding pictures are stunning! Jacqui has an incredible eye for detail and our pictures perfectly tell the story of our day, capturing all of our love and joy. We loved working with Jacqui and are proud to call her a friend! When we first started looking for a photographer, we had no idea what to look for. Everything we saw looked the same. We felt lost. When we came across Jacqui’s work we were so excited and loved how every photograph showed true emotion and everything felt real – not one photograph felt forced. When we first spoke with Jacqui we could tell how passionate she was about her work and we immediately trusted her vision. One of our favorite things about her work is that she captures moments. We knew we did not want stiff pictures, but rather we wanted pictures that we could look back on for years and remember what each moment felt like. We can honestly say she went above and beyond and every picture from our wedding captured what was felt on that special day. Not only were the pictures stunning but we felt as though we were working with a close friend. Working with Jacqui on our wedding day was without a doubt perfect. She was genuinely excited for us throughout the entire day and she was unbelievably organized. When we got our photos back from Jacqui of our wedding day, we were in awe. I can honestly say I cried. They were perfect. They were everything we wanted. Jacqui captured moments we did not even know we wanted or did not even know were possible. From the beginning of the day, until the end of the night, everything was there and every emotion was felt through the pictures. We had heard about Jacqui from a family friend of ours. After looking at some examples of her work on her website, I reached out to Jacqui and spoke to her on the phone. Not only was her work beautiful, but she was so pleasant to talk to on the phone and I knew she would be a pleasure to spend these important moments with! We then met in person, and that confirmed it even better. I loved how well Jacqui captured the candid moments from our wedding day! We felt as if she captured the living emotion of the day. When our gallery was delivered I could look at each image and it jogged a memory of that exact moment – I felt a huge sense of joy! I loved the femininity of the images portrayed on Jacqui’s website – bright color and light are so important to me and that was an important factor for me to pick my photographer. Once we jumped on a phone call and it as love at first convo! You don’t realize when picking your wedding photographer just how much time you are going to spend with them and their team during one of the biggest weekends of your life. I never took into account that I NEEDED a nice, lovely, calm, person around me when there are a lot of emotions going on! Jacqui and her team were nothing short of professional. We quickly took pictures and then were on our merry way celebrating with our guests. In those short moments she was able to capture my favorite pictures ever. Jacqui’s use of color is fantastic. She was able to use the lighting at hand and create the best images. She works magic. It was so helpful that she has clear vision and is so lovely and able to get her amazing shot done and fast! Plus having someone around you that is just so sweet and smiley is so fun and such a pleasure to be around when there is so much going on around you. As soon as I saw our photos I felt all the emotions! JOY, LOVE and TEARS (in a good way). I first met Jacqui when she photographed my sister’s wedding in Florida and she immediately felt like a member of the family. 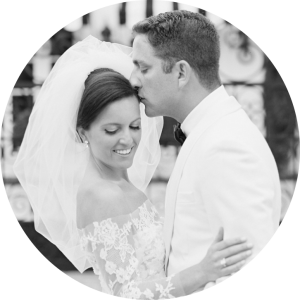 Her warm and friendly demeanor, calming presence and impeccable organization helped ease any wedding day jitters or stress. 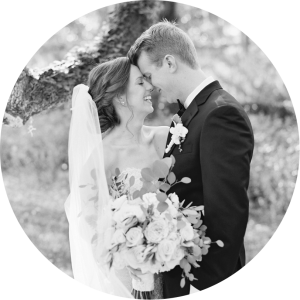 I was so impressed by how quickly and seamlessly she was able to move through all of the different photos while we were getting ready, and then once we were with the entire bridal party and all family members on both sides. 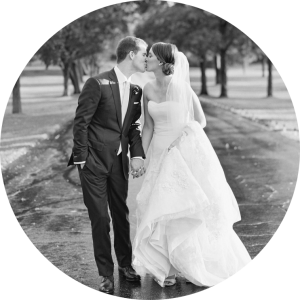 I was blown away by how the photographs turned out – from the candid ceremony shots, to organized family/bridal party photos and fun reception action shots. Every one of them felt like a piece of art. When I got engaged a year later, I knew that Jacqui was the photographer for my wedding and after choosing my venue and wedding date, she was the first call I made. Jacqui continued to exceed all of my expectations on my wedding day. My fiancé and I decided not to do a first look so that we could see each other for the first time at the ceremony. This definitely compressed the time we could allot to bridal party and family photos on the day of, but Jacqui worked through a precise timeline with me that allowed her to get all of the photos we wanted. Additionally, she spent time beforehand at our venue staking out areas that would provide beautiful backdrops for our photos. The result was some of the most beautiful images I could have imagined and, that months later, I still enjoy looking at so much!